Fitness tracking is evidently a great use case for smartwatches. Problem is, nascent platforms like Android Wear are, at least until the debut of Google Fit with the finalized version of Android 5.0 Lollipop, utterly lacking in that department. Thankfully, there are companies like Jawbone to fill the gap in the interim. The standalone UP app packs all of the social and logging features of the Jawbone UP/UP24 companion app, a godsend to folks interested in a fitness tracking solution without the $129 requisite peripheral. For the uninitiated, Jawbone’s approach to wellness is pretty holistic – the app features modules like a nutritional database, personalized goal logger, social media streams, and more. 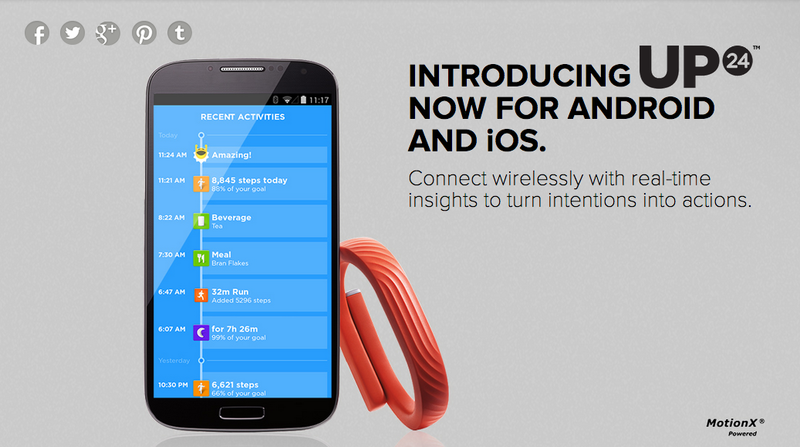 UP’s headlining feature, activity tracking, is present. Using the accelerometer in either a paired Android Wear device or “select phones,” the app measures your sleep and exercise, making intelligent suggestions for improvement based on trends. Interested in giving UP a try? It is a free download on Google Play. Apple iPad Event Live Blog!